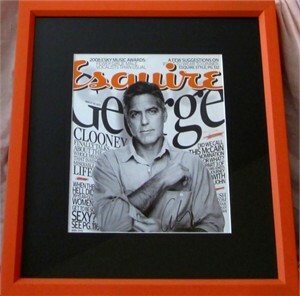 April 2008 Esquire magazine cover autographed in black marker by actor George Clooney, professionally matted in black and framed with glass in orange, ready to hang. NOTE: bottom part of cover was trimmed to remove subscription address. 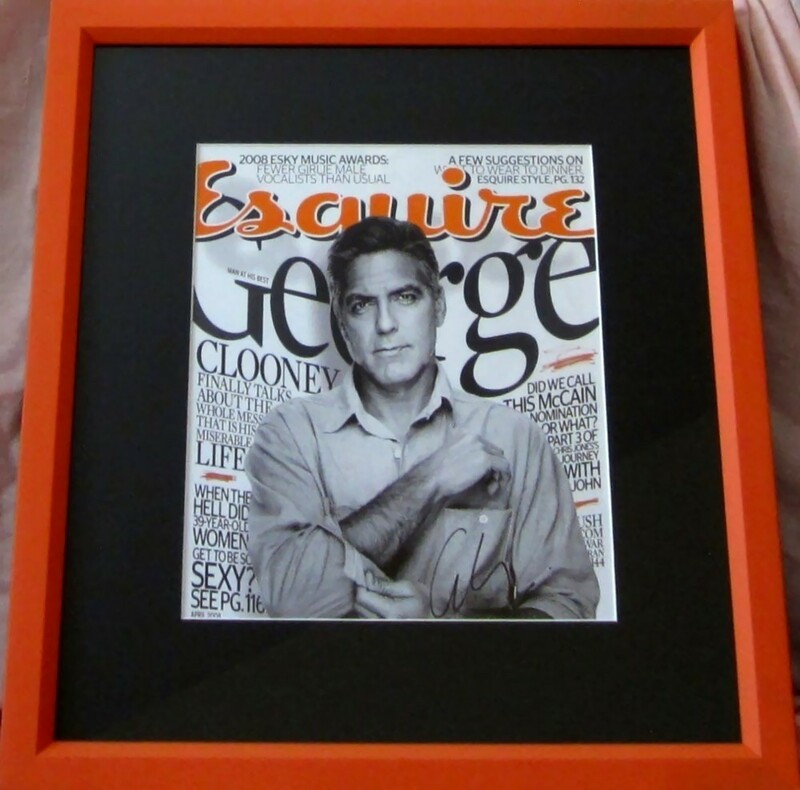 Obtained in person at the LA premiere of The Ides of March, with photo from the event and certificate of authenticity from AutographsForSale.com.